The T-CAT program provides a range of voluntary, community-based, short-term wraparound services with the goal of minimizing inpatient stays. 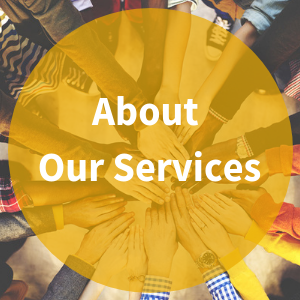 As long-time providers of acute services in Pierce County, our staff is uniquely prepared to assist individuals to understand and navigate the state, county, and local systems of care. Transitional Support services can be accessed through a referral from Optum Behavioral Health. Crisis Support team services can be accessed through a referral from the county’s Mobile Outreach Team. Transition Support services provide highly individualized, behavioral health and intensive case management support for individuals discharging from higher levels of care. The transition support service is designed to minimize current inpatient stays and to increase post-discharge stability and recovery. To that end, T-CAT offers brief intervention, crisis management, crisis outreach, peer support, and psychiatric medication support. Crisis Support services provide an alternative to acute care hospitalization. Individuals experiencing a crisis event at a local emergency room may receive intensive short-term support when appropriate to divert from hospitalization. The crisis support service is designed to minimize emergency room stays and to reduce referrals to inpatient settings.